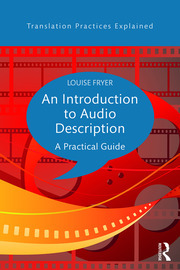 Louise Fryer has been an audio describer since the National first started offering the service in 1993. In the mid-90s, Louise spent 18 months working for the BBC, launching a pilot Audio Description Service as part of the Audetel project. She has described television programmes, videos and DVDs for the RNIB, IMS and ITFC. Louise also writes and voices audio guides for museums and galleries, and advises curators on ways to make collections more accessible to blind and partially sighted visitors.